In order to speed up the development and utilization of hydrothermal energy, it is essential to assess the potential of geothermal resources in petroliferous basins. In this paper, the distribution of reservoirs (aquifers) and the characteristics of geothermal fields have been studied systematically based on geological, geophysical, well drilling, temperature, and sample test data obtained from the major petroliferous basins of China. It has been found that some of the porous sandstone formations in these petroliferous basins are major geothermal reservoirs and are extensively thick and widely distributed. In general, the geothermal gradient in China is higher in the eastern basins and lower in the western basins. On average, the geothermal gradient is above 30 °C/km in the Bohai Bay, Songliao, and Subei basins. The geothermal resource abundance is also higher in eastern China and in the Beibuwan basin in southern China, and the geothermal source forming condition is better, followed by the Ordos, Qaidam, and Sichuan basins in Central China. Other potential basins include the Tarim and Junggar basins in western China, where the geothermal gradient ranges between 21 and 22 °C/km, on average. 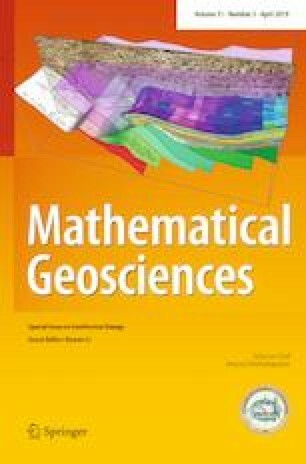 In this paper, three methods, stochastic simulation, unit volumetric, and analogy, were used for the assessment of geothermal resources. Using the stochastic simulation and unit volumetric methods, the geothermal resources, annual recovered geothermal resources, geothermal water resources, and thermal energy of water in 11 basins or blocks of up to 4000 m deep were calculated. Grading evaluation criteria were established by considering the heterogeneity of geothermal reservoirs. The results showed that the petroliferous basins are very rich in geothermal resources. The annual recoverable resources reach 1626.8 × 106 tons of standard coal, in which grade I, grade II, and grade III resources are 641.9 × 106, 298.6 × 106, and 686.3 × 106 tons of standard coal, respectively. The results demonstrate that the development and utilization of geothermal energy in oilfields has a huge potential for industrial production and family use, and a great significance for the development of green oilfields. With the high demand of heat, the eastern oilfields with high geothermal resource abundance should be the first to be considered for the production and utilization of geothermal energy, followed by the central and western oilfields. This work was supported by a CNPC Science and Technology Project (grant no. 2016A-4802). In preparation of the paper, thanks go to the 15 oilfield companies for the valuable data and maps.